You should know that your septic tank needs to be inspected from time to time so that you can ensure proper function. However, for the times in between where repair is necessary, our highly trained septic repair technicians can be there to get you the fix you need so that you can get your household back in order. In some areas, there are large leach fields that will be dug to help you with ample space for the leached fluids to start to disperse. Whenever you are dealing with something that is as important as your septic tank system, you have to be sure that you are working with trained professionals that will be able to get the job done right the first time. One of the more common causes of septic issues and even their failure will be the inability to absorb. If you are having problems with your drain field, our team can come out to your property to offer you a full assessment. When it comes to all the experience and expertise that we have to offer, you will never feel as though you have made a poor selection and the best company to work with. Whether you are having a new septic drain field put in, you need a septic tank replacement, you need to have a design done for a new home construction, or something else, you can feel confident when enlisting the help of our team. When you call on us at Schleg Valley Construction, we will be there to offer you all of the advice that you need on caring for your septic system. We also will work to bring you quality maintenance, repairs, or replacement of your system. 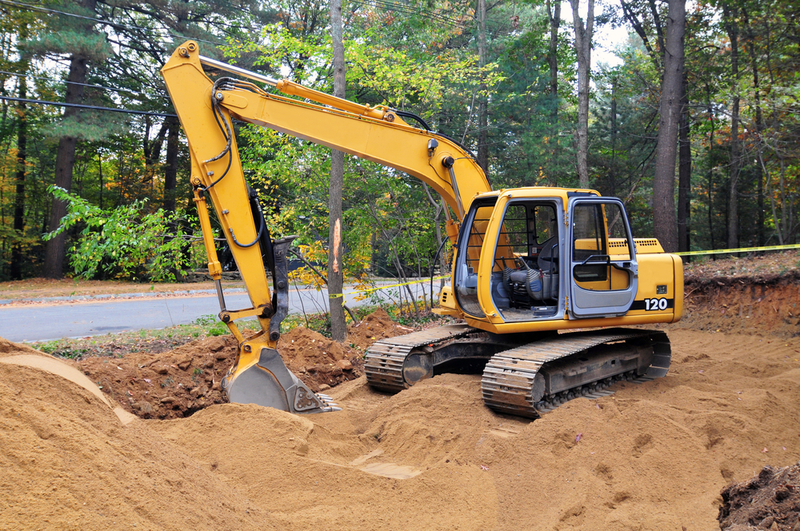 Our staff at Schleg Valley Construction is trained and ready to take on any of the site work that may need to be done on your property for your septic job. When you work on a custom home build, all you have to do is bring along your vision and we offer the expertise and manpower to get the home built exactly how you want it. In the initial phases of your construction job, you need to carefully consider who you will hire for the contractor position. When you go to the right general contractor, you are going to benefit from both experience and expertise. Depending on your needs or the age and potential condition of your septic system, a number of methods may be used for the septic inspection process. For example, a visual inspection may be done by adding a surge of water throughout the system to check for any signs of leakage or any sort of odors. We are a team of highly trained and motivated individuals able to keep your septic system in great working order. We offer septic cleaning, advice on caring for your septic system, replacement parts, major repairs, and much more. As a homeowner, you only need to know some of the basics of your septic system such as what should not be put into it and how often that you need to have it inspected and cleaned out. When you contact us for your septic system replacement or new system installation, we can go over all of the details with you to ensure you have a good understanding of how it all works. There can be issues that arise on your property such as a root infiltration. When we come out to do a full installation of a new sewer line for your home, we will take a look at the surrounding landscape to ensure that there are no trees or bushes that may pose a problem in the future. Having problems with your sewer lines can be very serious and there is a great deal of effort that needs to go into fixing it. This is something that can turn into a very messy and unhealthy environment for your home or business. Have you noticed that the alarm connected to your septic system has been sounding? If so, this is a good indication that you need to contact the pros for help sooner than later. Waiting too long to address the septic alarm is the equivalent of opening the door to costly repairs or the chance that you could have sewage that begins to back up into the drains in your home. There is never going to be a perfect time for a problem to develop with your sewer pipe. As a matter of fact, many people will find that a sewer issue happens at the absolute worst time.